BrainLink Services are extremely proud to have been a match day partner with Collingwood Football Club. 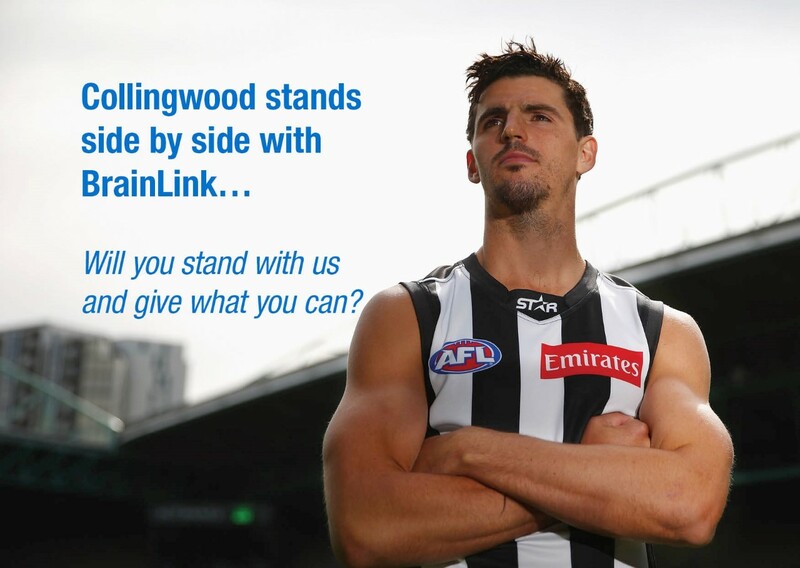 Collingwood FC supports BrainLink and families of people with an Acquired Brain Injury and the vision of "Better Caring, Better Outcomes". ABI affects 1 in 12 Australians, does not discriminate and there is a chance that you know some affected by Brain Injury or a Neurological disorder of the brain. BrainLink works to build the capacity of carers and families to deal with daily living challenges and complex behaviour arising from Acquired Brain Injury or Disorder. And because of their commitment to the community of people living with an ABI/ABD, we are privileged to stand 'SIde by Side' with Collingwood Football Club.